Westboro is the cool kid of neighbourhoods, based on votes cast online by readers of Ottawa Life Magazine. Earlier this week, Westboro's business and professional community came together to celebrate their fun new title of Best Ottawa Neighbourhood, while inside Mizrahi Developments' presentation gallery for its luxury condo development at 1451 Wellington St., at the corner of Island Park Drive. The reception, with its live music and even livelier conversations, reflected the fresh and hip vibe that continually wafts through Westboro, with its trendy cafes and bars, chic boutiques, dining hotspots and outdoorsy retailers. There was food from Vittoria Trattoria, beer from the Clocktower Brew Pub and lovely desserts from Quelque Chose Pâtisserie – all businesses that are located along Richmond Road. On hand were the Westboro Village B.I.A.’s brand new executive director, Michelle Groulx, and the chair of its board, dentist Dan Hwang, owner of Westboro Station Dental. The Ottawa Life Award for Best Ottawa Neighbourhood was presented to Dr. Hwang and Gary Luddington, chair of the Westboro Community Association, by magazine publisher and managing editor Dan Donovan and by Ottawa Mayor Jim Watson. Kitchissippi Ward Coun. Jeff Leiper was out of town and unable to attend. “You realize by giving this award to Westboro, property assessments are going to go way up,” joked the mayor, who lives just down the road a couple of kilometres west. No word on which neighbourhood the mayor most prefers. Like a good parent with his children, he doesn’t pick favourites. Also present was Mizrahi Developments owner Sam Mizrahi, who can't help but ooze debonair appeal. “I couldn’t have thought of a better place to do our first project outside of Toronto than Ottawa,” said Mizrahi, while pointing out that his wife's hometown is Ottawa. He touched on the arts and culture, fashion and food that are transforming Ottawa into a world-class city. 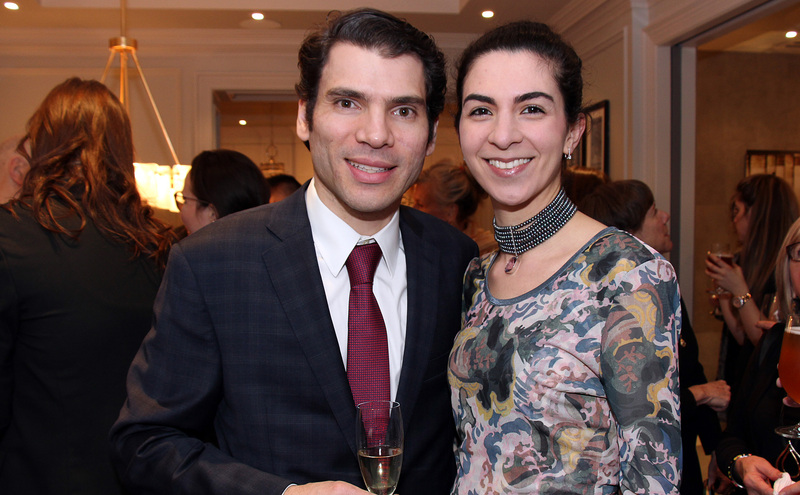 “I couldn’t be more proud to be in an area like this and to be welcomed so warmly," said Mizrahi, who is a strong supporter of the National Arts Centre Foundation. Last spring, the real estate developer threw a huge party to celebrate the opening of the presentation gallery. Since then, the building has played host to smaller community events. The 12-storey condo building isn't scheduled to be completed for a few years but sales are reportedly going well, with close to half the 93 units now sold. The reception also raised funds for Cornerstone Housing for Women, an organization that helps provide emergency shelter and safe, supportive housing for women.